What team are you rooting for in London this year? I always root for everyone because they all deserve to be there and win. 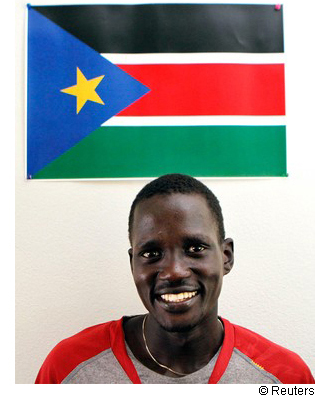 I am especially rooting for the man named Guor Marial who is competing under the Olympic Flag. He is from South Sudan and he is the sole survivor from 28 of his family members who were killed during the uprising for freedom in Sudan to make South Sudan. He is running to honor all of the people including his family who were killed for freedom. “I just want to have fun, put the jersey on, the Olympic jersey or whatever they give me to wear and just enjoy it. In the race you don’t want to think about it, because anything can happen. For me, I’m going to the Olympics with an open mind.” This is what Marial said on going to the Olympics.